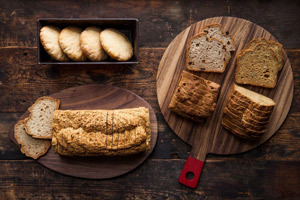 It’s the perfect bundle for adding a gluten-free platter to your party. 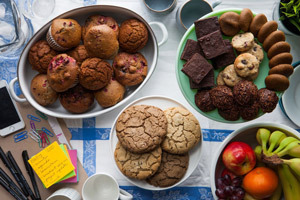 Wow your guests with a fabulous variety of gluten-free treats. There are 30 cookies in total in this package. 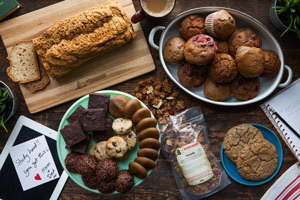 Chocolate options, Dairy-Free and Egg-Free option and a refined sugar free option. 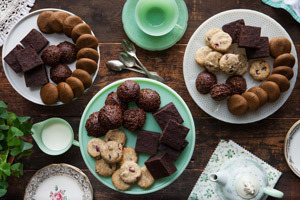 Products in Throw a Party: Brownie Bites (12 pieces), Chocolate Macaroons (12 pieces). Gingersnaps (20 pieces) and Dark Chocolate Cranberry Cookie (16 pieces).